Greetings music lovers! I truly wish I had the time to post more frequently, but life just gets in the way to the extent that all my spare time is spent dealing with it's distractions. And sleep. Yeah, I remember I used to stay up late doing this but I gotta get 8 hours in (at least) so I can function properly during the day. I also spend a lot of time spinning records for the Dan's Garage radio show as well so there's that. I hope you are all satisfied with the re-ups. Aside from the password glitch on #78, all is working well and we should be good to go moving forward. 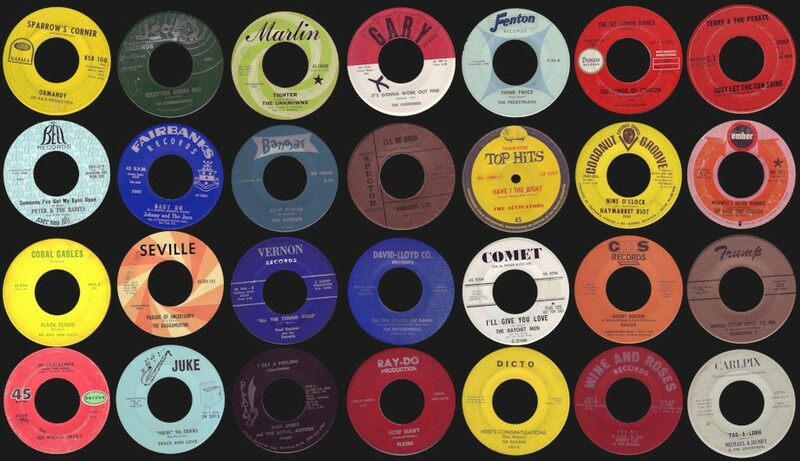 As far as records go, I certainly have been acquiring bunches and there are 45s here that I purchased five years ago that are still in the "can" so to speak, and at the rate I'm going these day's I'll be posting well into old age! Not much more to say here except that I thank all of you out there for your kind words and comments, it really makes my day. So without further adieu, here's #132! I love Gregory Dee & The Avanties. They're of those great frat rock bands ala The Kingsmen who can deliver great renditions of R&B tunes as well as this cool instro on the 'A' side of this disc. The 'B' side is no slouch either as it starts off as somewhat of a ballad and then shifts gears into a nice mid/fast tempo rocker. Excellent!!!! I almost never post "girl group" stuff, mainly because I really don't have any "girl group" 45s to speak of except for the obvious hits like The Shangri-Las and the like. There's a distinct difference between typical girl groups and your "girls in the garage" type bands, and when this 45 came up on Ebay it piqued my interest because it was listed under "garage" and Prism records out of Dayton, OH has some interesting records in their catalog. Oh, and the price was right, so I took a chance on it without really hearing it. I was pleasantly surprised because this is a very nice, catchy upbeat two sider that is not overproduced with a bunch of horns and orchestral arrangements. I'm not sure who "Pepi" was, but it's probably a good assumption that she was from Dayton or somewhere in western Ohio. 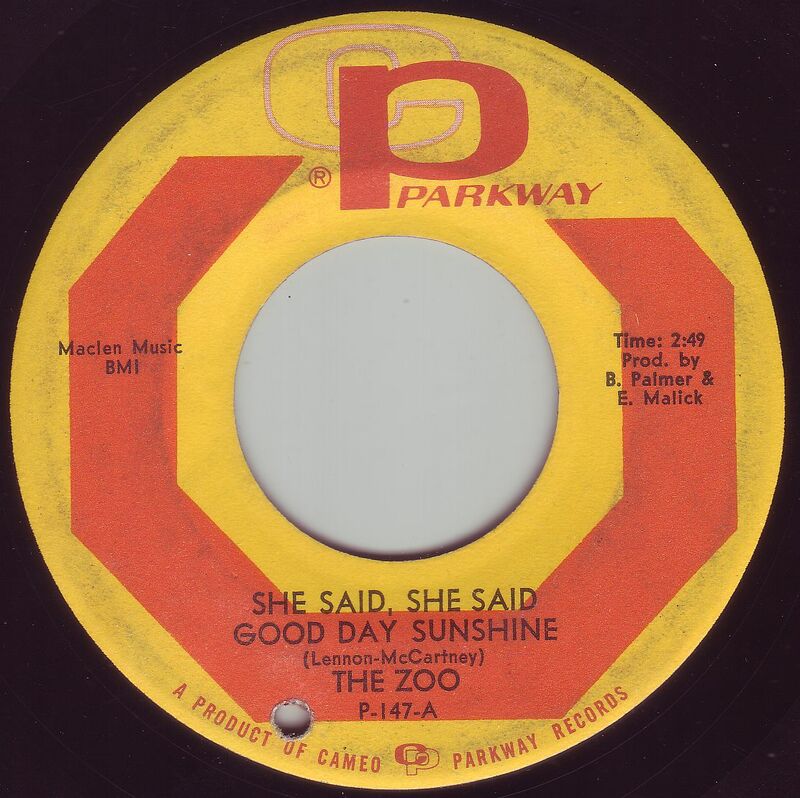 The info I got on this 45 is that members were in The Skunks and The Bonnevilles, both bands out of Milwaukee, WI and as such this apparently gets lumped into The Skunks' catalog. The 'A' side of this is pretty good garage and "Ring Rang Roo" is obviously a novelty number, although it isn't half bad. "Ring Rang Roo" was later released again on Era 3155 with different 'B' side. Strangely this one doesn't come up in any lists of either this group or The Skunks. Total coolness from perhaps one of the most underrated (or overrated depending on who you ask) groups out of Great Britain in the 1960's. 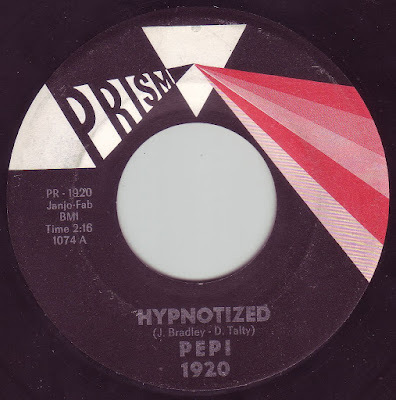 This is their debut and although they would release a plethora of 45s afterwards, eventually evolving into a psychedelic act, it's tough to top this one. Well...here's another great "girl" song by none other than Brenda Lee no less. I'm guessing a few of you out there know the story behind this great 45 but for those who don't, well the story has it that Decca records flew Brenda to the U.K., where she was already a popular singer, appearing on "Oh Boy" in 1958 and clearly influencing Lulu (IMHO). 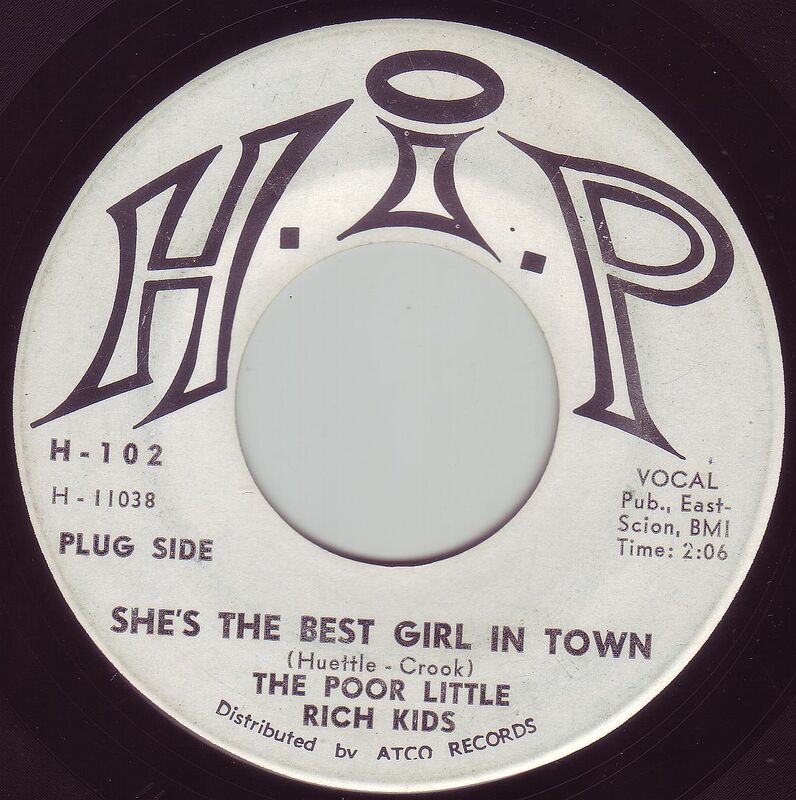 She entered Decca studios in the late summer / early fall of 1964 when the British Invasion was at a fever pitch to record two songs exclusively for the British market. The session was produced by Mickie Most who also was producing Lulu at the time, no coincidence there, and featured Jimmy Page as a session guitarist. The two songs she recorded were this one here, and a raucous version of Ray Charles' "What'd I Say" for the 'B' side. "Is It True" was written by John Carter and Ken Lewis who had already written a bunch of songs for Herman's Hermits, The Ivy League, Peter & Gordon, and others. 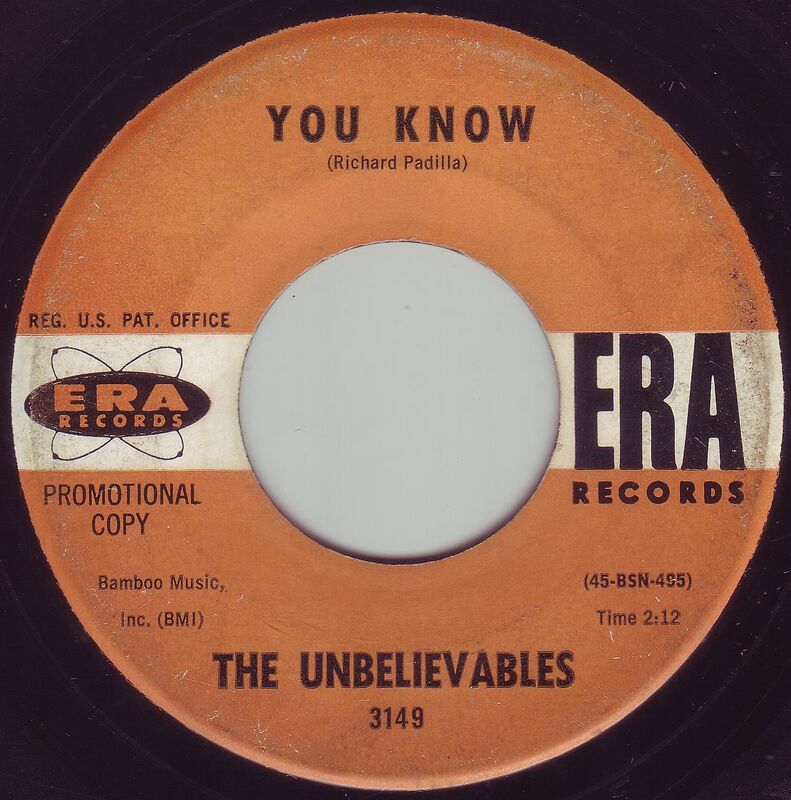 It was quickly released in the UK on Brunswick records and shortly afterward, Decca released "Is It True" here in the U.S. making it the 'B' side of a schmaltzy ballad. 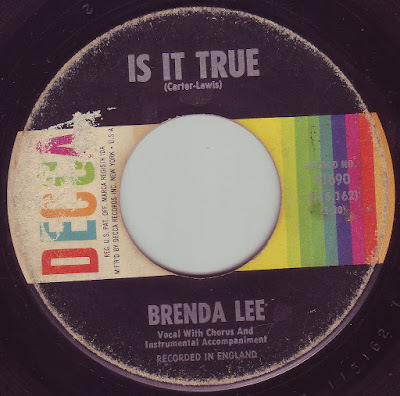 Is it True is "truly" a gem and it's unfortunate that good ol' Brenda decided to head into a country/pop direction. Here's a decent two sider that has some nice minor chord pop sounds on the 'A' side with a really good garage/beat 'B' side. Apparently from somewhere on the west coat presumably L.A. Trying to get any info on this bunch turned up a big zero. I'm not even going to venture a guess as to where these guys are from, with Uptown Records releasing songs by groups all over the U.S. 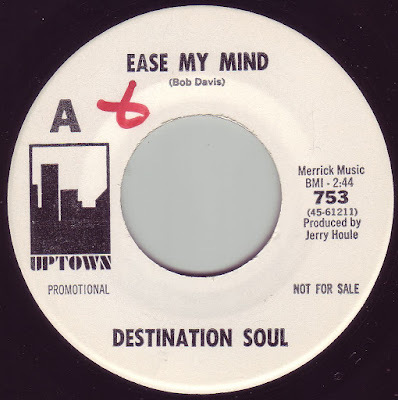 Both sides of this 45 have a "soul" feel to them, but both songs are mostly tough sounding garage with good production and some great Farfisa organ driving them. Nice. Fuzz, Acid, and Flowers claims this group is from Memphis, but that may just be speculation as Hip Records was based there, but this was originally released on Exodus, and judging by that label, they may have been from somewhere near Chicago or the Midwest. I'll give FAF the benefit of the doubt on this one. Both sides are pretty good. Originally know as The Beau Denturies from Akron, OH, this group released this 45 under two different names and two different labels, the one you see here as The Zoo on Parkway, and also as The Yellow Pages on Encore Records (who also released the Beau Denturies 45). They actually do a nice job of tackling these two covers especially "Where Have All The Good Times Gone". OK here's one that I know something about!!! The Traveling Salesmen were from Fort Worth, TX and evolved from The Velveteens who had a killer frat/rock 45 "Ching Bam Bah on Golden Artists records, and which was featured in IDG#36. 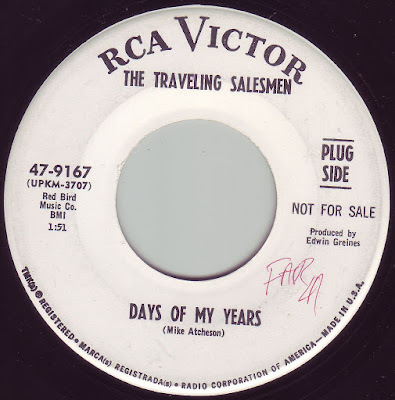 How they ended up getting a deal with RCA Victor is unknown, but they definitely had a winner with with this way cool folk/rock gem. I love the way the 12 string rings out on this one, real spooky kind of, and the Hollies cover on the 'B' side is great as well! I probably mentioned this several times before, but my memory is so bad these days that I can't even keep track of where my car keys are, but someone once told me, "A good song, is a good song". Words of wisdom and this is a perfect example. Before I ever heard this version I had always liked this song, especially in my early teens as I was on this acoustic guitar kick (I had not yet picked up an electric) and was singing the appropriate songs, so it wasn't unfamiliar. Then a few years back I heard this version and absolutely flipped. Everything about this is pure pop perfection from the jingly harpsichords, to the dreamy vocals, to the driving chorus, and even the orchestration. It all just fits. The Collection were from New York City and went to Queens College together. 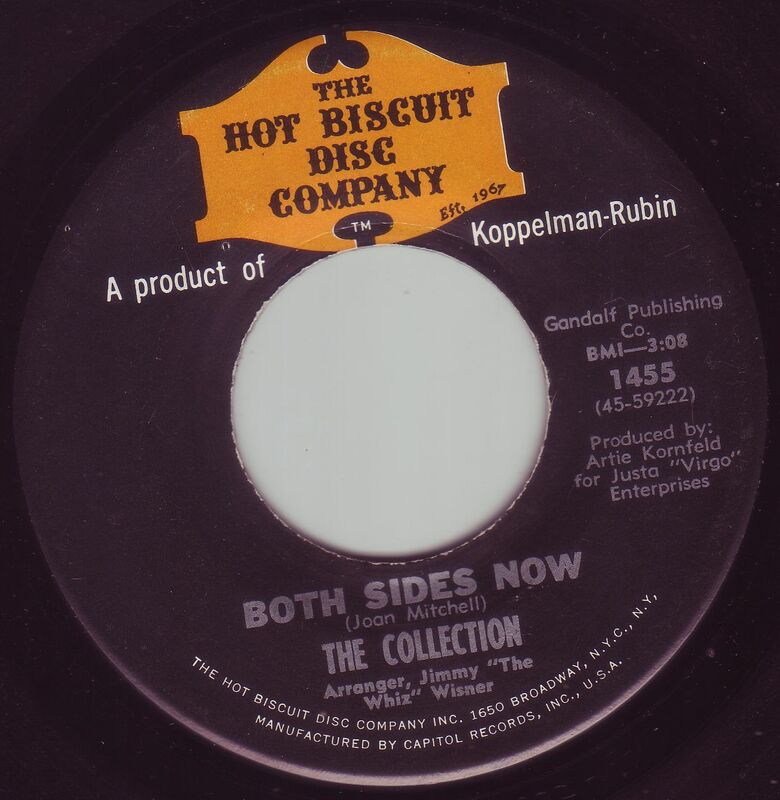 They started off as a folk group called the Guild Light Gauge and members included vocalist Fern Kauffman, and Eddie Simon, brother of Paul Simon. The project was produced by Jimmy "The Wiz" Wisner who worked with other pop acts such as Spanky And Our Gang and The Cowsills. For a more in-depth story of the group visit this site HERE. The Shags were a five piece from Peoria, IL and recorded this nice little 45 at The Golden Voice Studio in Pekin, IL. Although somewhat lightweight, the sounds on this 45 are really good. Nice pop/psych on both sides. 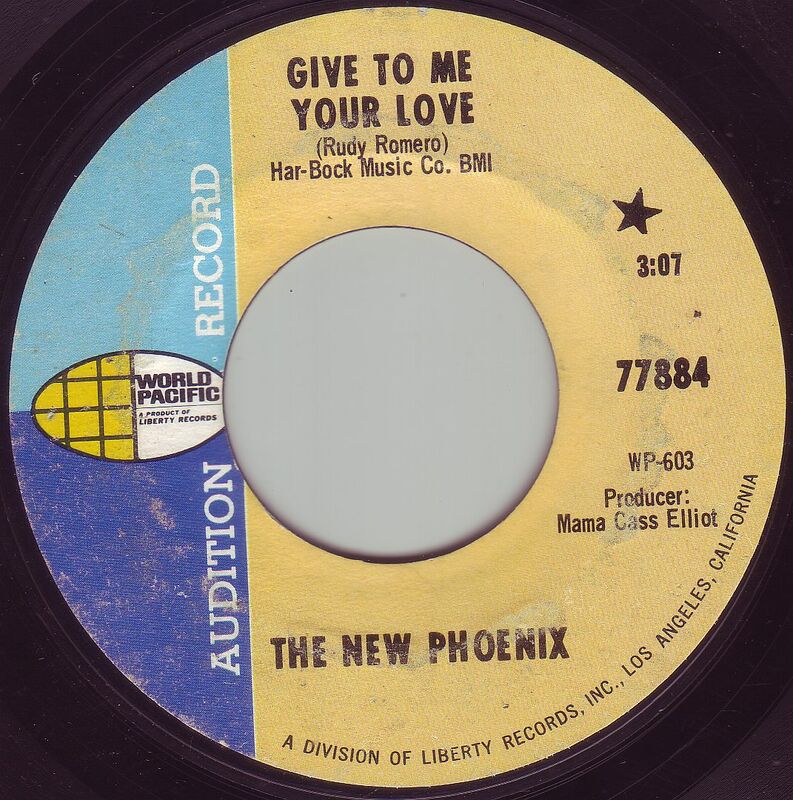 The New Phoenix were a west coast band and was a bridge, so to speak, between The Hardtimes and T.I.M.E., who all essentially shared labels (World Pacific being a subsidiary of Liberty at the time). 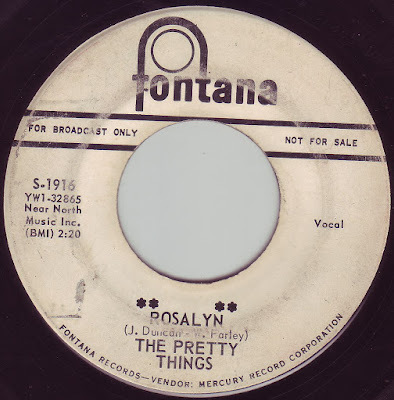 Produced by Mama Cass Elliot, this is another way cool piece of psych/pop with a fantastic guitar riff throughout. Too bad these guys never released another 45, I would have loved to hear more of it. I'm not exactly sure how involved Mama Cass Elliot was in the production of this, but if she had her hands in it she did a decent job. Unfortunately, the 'B' side is simply an instrumental version of this. Bummer. Here's another real obscure one by a group out of Stuebenville, OH which is just outside of Youngstown and Pittsburgh, PA where this 45 was most likely recorded. What we have here is a take on Joe Cocker's take of The Beatles' "With A Little Help From My Friends", a song which I really like, even the Joe Cocker version, but I much prefer The Beatles. 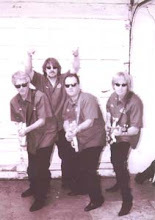 006's were led by guitarist and vocalist Rob Parissi, and eventually evolved into 70's funk/rock band Wild Cherry who had a big hit with "Play That Funky Music White Boy". 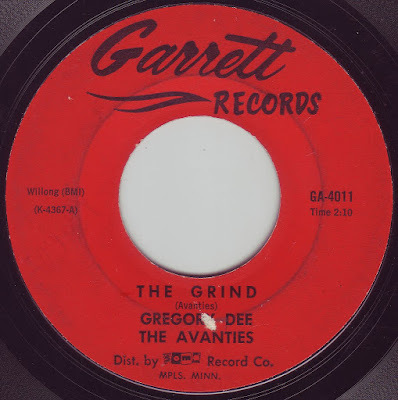 Let's end this shindig with a nice two sider with some heavy Hammond Organ playing in the mix. 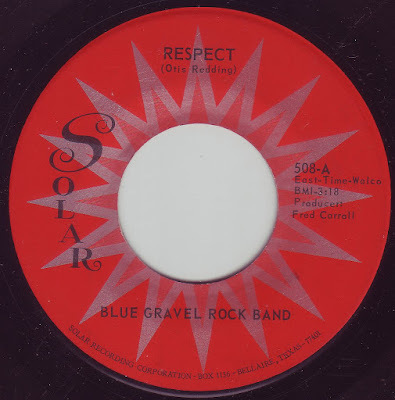 I'm not sure who the Blue Gravel Rock Band were, but it would seem that they were from somewhere around Houston, TX. On this one they cover Otis Redding's "Respect" quite nicely while adding the riff to "Reach Out" in the intro and at the end. The flip is a cover of Johnny Rivers' "Summer Rain", not exactly one of my favorites from that guy, but Blue Gravel gives it the Texas psych treatment and voila! It's actually quite good! 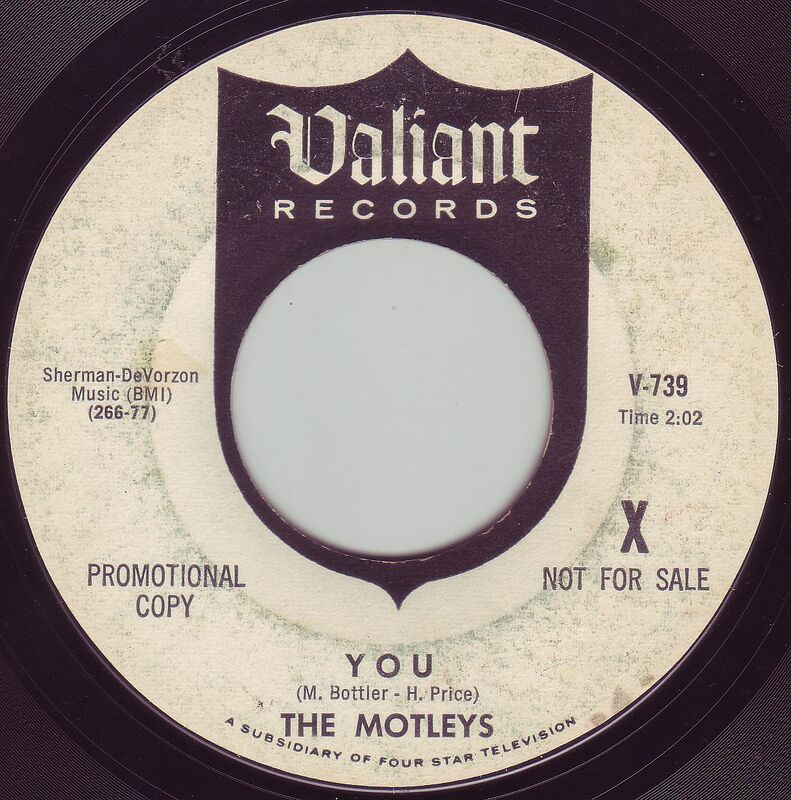 They had one other 45 on the same label but I've never heard it. thank you for another volume of this wonderful seies! Thanks for another great volume Dan. Looking forward to the Brenda Lee track as well as the covers of Both Sides Now and With A Little Help From My Friends. greetings from Peoria, land of The Shags! Yes they were light-weight but they owned the town during the late 60's. Their first 45 (It Ain't Easy) is a little bit better than this. And due to their popularity they appeared in a TV commercial for the Bergner's department store, reworking "Did I Say" into a Bergner's jingle. It's available on youtube. Thanks for weighing in with a comment! When I describe something as "lightweight" I certainly do not mean it as any kind of "put down" (not that you took it that way mind you) but just a general description of the song's vibe so to speak. I really like that particular 45 and was very happy to get a copy. I've haven't heard "It Ain't Easy", in fact it's not in any of my vast archives of '60s comps, but if you say it's good, I'll take your word for it! 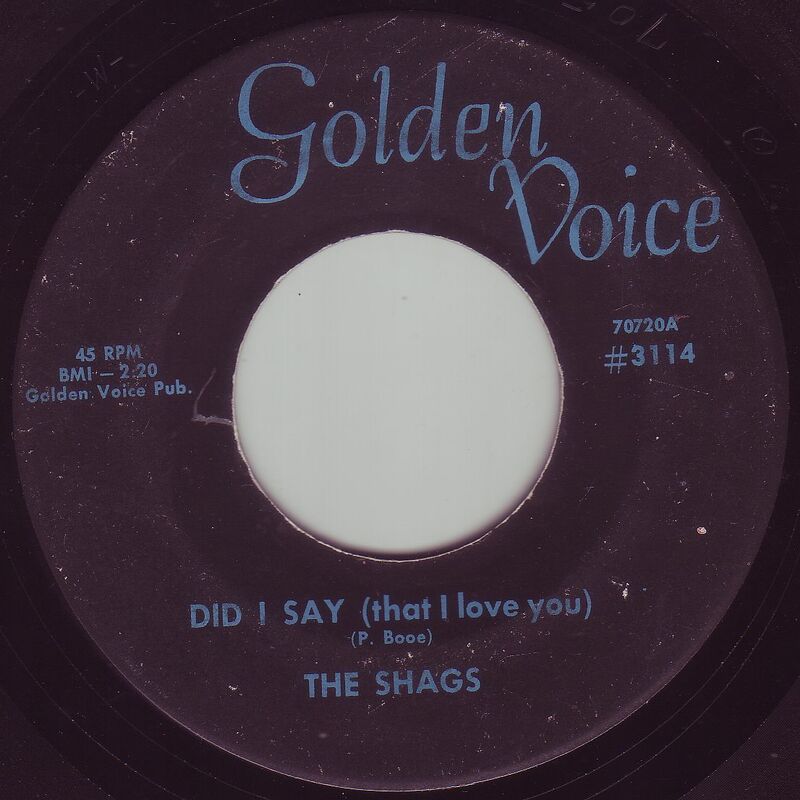 It's always great to hear from members and fans of these great bands from the mid sixties, and I hope you enjoy this blog. 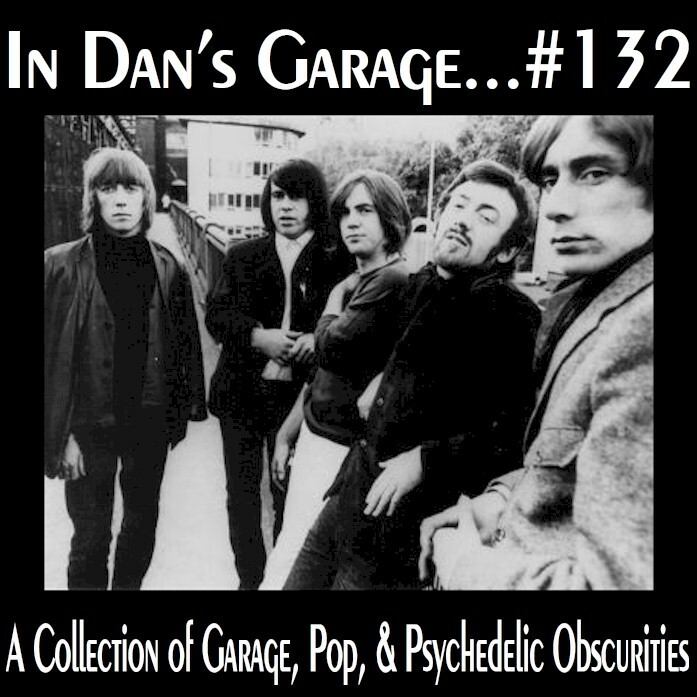 Really Groovy Collection, here, Dan, as always with you! Great stuff as always! Thanks for sharing some great tunes. Good news from Dan's Garage!!! !